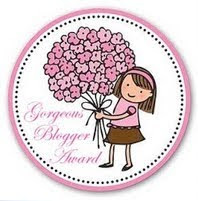 I have been given another award and this one is from MacPrincess101. It is a bit like the 7 question ones i have done previously so i will try and make these facts different. 1. I don't believe in having a best friend. Or at least i don't believe in telling everyone that i have a specific best friend. I think that if you feel you have to call a person your best friend then you are excluding your other friends and trying to convince yourself that this friend is better than your others. 2. I'm actually not afraid of much in regards to material things. Like spiders creep me out and so do haunted houses and such things but what i actually FEAR is being alone and not being accepted. 3. I make an effort to check where the products are made that i buy. When buying drugstore makeup i like to support the Australian economy and make sure that my money isnt all going overseas. I must have learnt this from my mum because she does them when buying groceries. I also make sure that i do not buy the majority of my stuff from China so there is not such a big demand on their products and therefore they run their workers less harshly. 4. When i was in grade 5 i went through this stage where i would enter every single competition that was run through magazines and i won 50% of them. Not even joking, it was the best time of my life and i won limited edition barbie dolls, CD's, electronics...I even won a nintendo one time. 5. I am not very outgoing when i am at school but i am not shy either. Although i am a cheerleader and stuff for my school, it doesn't automatically mean that i am "popular" or "outgoing". I like to interact with my whole grade and not limit myself to one specific group. 6. The majority of my money is spent on beauty. I have 3 jobs but everything adds up when you need you hair done, your nails painted, massages, gym and not to mention buying all the makeup and clothes. 7. I read every single comment i get on blogspot and read every single post by the people i follow. On YouTube: i check out every single one of my subscribers and friends, read every comment and watch every video from the people i am subscribed too. I spend heaps of time on the internet because of all the amazing peoplei have met and the good friends i now have form all over the world. Of course if you really wanted to be awarded with this then go ahead and put yours up. These are really fun to do and everyone should have the chance to be awarded. It's nice learning a bit more about you. Oh and don't worry.. I have NOT forgotten about you tagging me on the last award. I plan to finally respond to it soon. Talk to ya later sweetie!! I thought I posted a comment here yeserday-guess not.. Thank you for tagging me on this. I never done a blog tag before, so basically what I do is just answer the questions on my blog and answer them right? Also, do you have a copy of the actual questions? You get tagged for SO MANY AWARDS! I love finding out more stuff about you and youtube has helped me with that even more! Really? What's you occupation to have to spend so much on gas? HAHA not that many. Well thats always nice to know, im glad your enjoying my youtube channel. Oh, thank you so much. I'll be sure to put it up.